Windows 8 comes with whole new set of options which you can use to Login to your Windows 8 Computer. 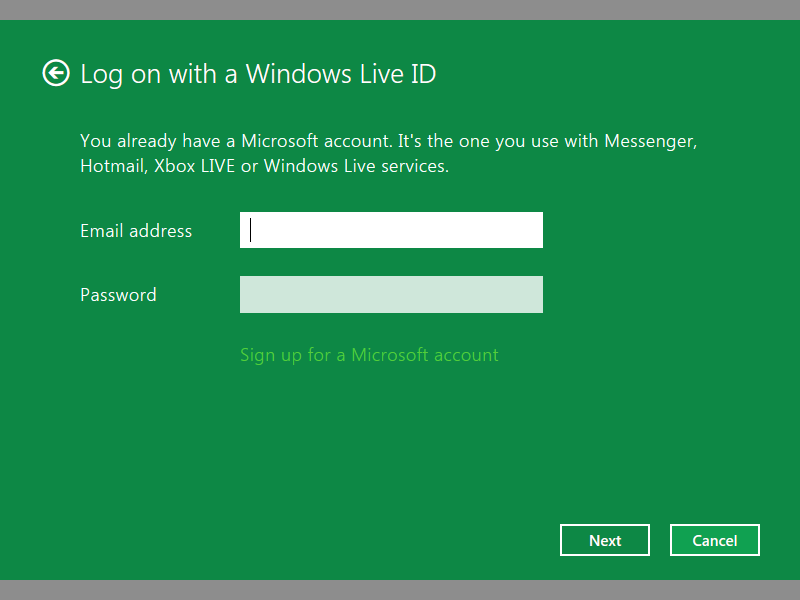 Traditional User ID and Password Authentication does exists in Windows 8. 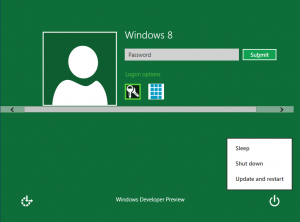 In case you do not setup any password to logon to your windows 8 computer and you do have only one user configured onto your Windows 8 computer, you would be presented with the Windows 8 Start Screen after starting up your Computer. In case you do have setup a password for your Windows 8 computer, then depending on what type of authentication you have configured on your Windows 8 computer, you will get the option to authenticate yourself. 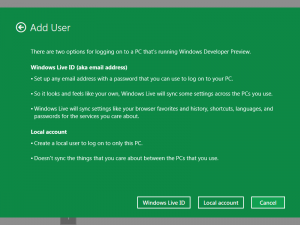 As displayed in the above screenshot Windows 8 allows to add new users to a Windows 8 computer and provides various security option to logon to a windows computer. 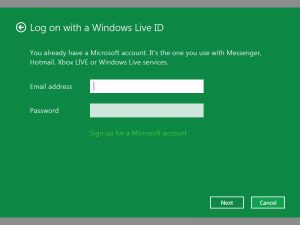 Traditional User ID and Password authentication, PIN Number authentication, Sign onto Windows 8 computer using Windows LIVE ID and Picture Password are the options available to you to logon to a Windows 8 Computer. Depending on the authentication methods configured for any given user, the Login Screen of a Windows 8 Computer will look different to different users. As displayed in the above screen, Logon to the Computer is configured for the user using either PIN authentication or using traditional User ID and Password Authentication. As most of the Windows Users use User ID and Password Authentication methods, learning these new login options in Windows 8 might require some sort of training. Before configuring actual Windows 8 machines, Download Windows 8 for free from Microsoft and understand what login options you have, understand them and choose the best login options according to the usage of your Windows 8 computer. 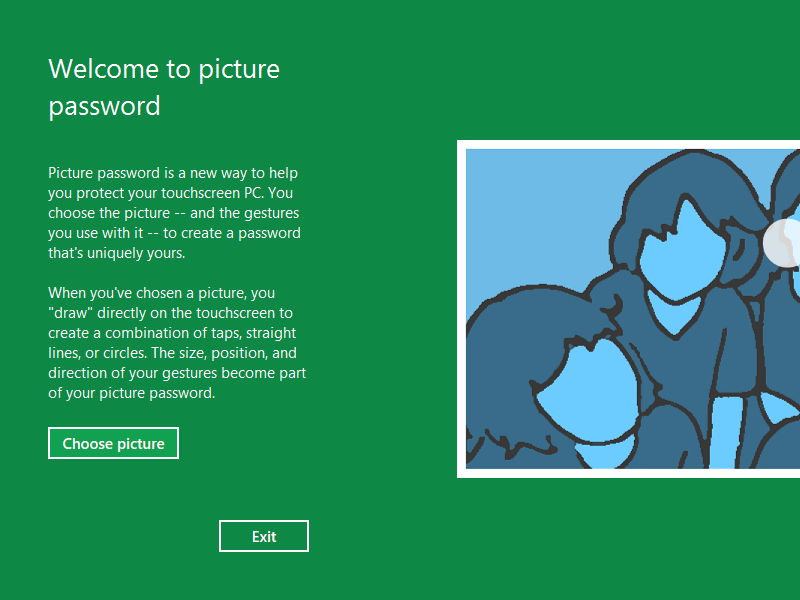 Given above is the Picture Password setup screen. This can be really new to learn and use. You can have multiple authentication methods for your Windows 8 computer. In case you do setup multiple authentication methods on your trial or actual Windows 8 computer, do make sure that you do understand how to setup users and authentication methods. Make sure that you do understand password recovery options for your Windows 8 computer, so that in case you or your configured user, forgets the password, you would still be able to recover your lost password of your Windows 8 computer. Someone said that with great powers comes great responsibility and hence in case you are a network administrator planning to use Windows 8 computers in your network, yes will have to learn new technical and computer management stuff with Windows 8. 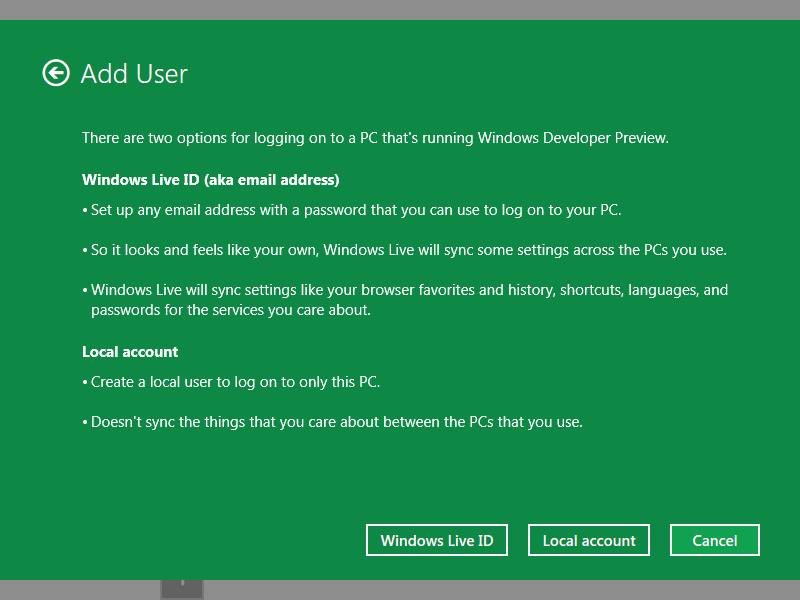 In case you setup traditional user id / password authentication and PIN authentication for your Windows 8 computer and then later on you setup Windows LIVE Id to logon to the same Windows 8 user’s account, you would be prompted to change the PIN and would be required to Logon to the Windows 8 computer using Windows LIVE Id authentication. Yes there is much more to Windows 8 and in case you have not yet downloaded the Windows 8 from Microsoft, you can have a look at Windows 8 screenshots to know more about this new operating system. Yes Microsoft is providing lots of new features and extensions which will lure you to Buy Windows 8 as soon as it is released.